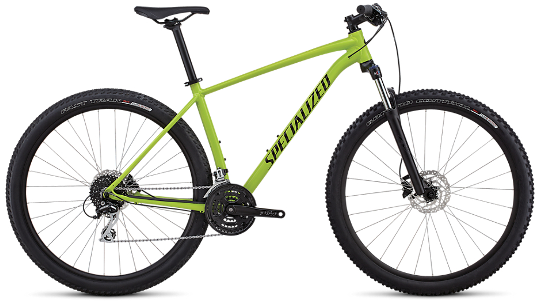 The Rockhopper was designed by Specialized for those curious about exploring the trail. No matter if it's for the single track, cross country or for getting to know your local forest, the Rockhopper can handle it. 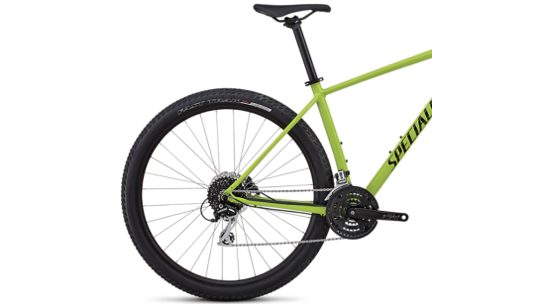 Constructed with Specialized's lightweight A1 Aluminium frame the Rockhopper is durable and lightweight and highly reliable having been backed by Specialized's lifetime guarantee. The coil-sprung Suntour XCT fork takes the pinch out of the trail, ensuring your rides aren't limited by how far or how long. Shimano's hydraulic disc brakes are made for fast and reliable braking all year round, no matter how bad the conditions get. 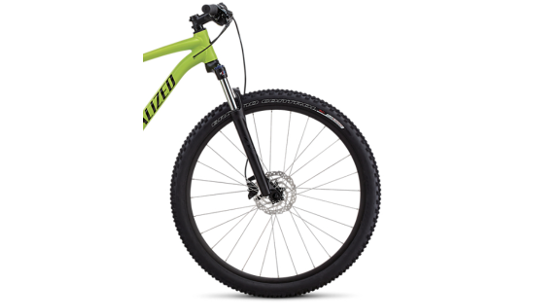 Finally, the Rockhopper features Specialized's acclaimed 29 sports geometry that provides comfort, speed and most of all ... fun! Front Tyre - Ground Control Sport, Flak Jacket flat protection, wire bead, 29x2.1"
Rear Tyre - Fast Trak Sport, Flak Jacket flat protection, wire bead, 29x2.0"